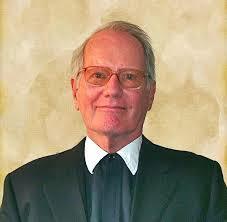 My good friend Jeff Gros (1938-2013) moved to Chicago in 2011. He became an adjunct professor at Catholic Theological Union and Dean of the Institute for Catholic Ecumenical Leadership. He also became a consultant to the Office of Ecumenical and Interreligious Affairs of the Archdiocese of Chicago, led at that time by another good friend, Sister Joan McGuire, O.P. (I came to know Sister Joan via my work in ecumenism with the archdiocese and the Cardinal George dialogue in March of 2011.) At the time Jeff moved to Chicago he lived across the street from Catholic Theological Union and from this place introduced me to many of his Catholic friends. When Jeff moved he did not know that he would very soon be diagnosed with a potentially fatal cancer. He fought the disease with courage and accepted it prayerfully with profound grace. Tributes of all sorts have appeared in honor of Jeffrey Gros since his passing on August 12. America, a prominent Catholic magazine, included a wonderful tribute to Jeff, and Jean Bethke Elshtain, in their August 14 issue. Baptist ecumenist Steven R. Harmon gave a short tribute to Jeff on a blog of August 13. Condolences were expressed by the World Council of Churches at their site on August 13. The much respected Collegeville Institute for Ecumenical and Cultural Research wrote of his passing at their site as well. An online search will reveal many similar entries and will also guide you to a discovery of a number of Jeff’s articles and previous public achievements. If ever a person fit my personal beatitude – “Blessed are the balanced” – it was Jeff Gros. He demonstrated, again and again, how important this quality is if one would pursue ecumenism deeply. Jeff also learned to engage in deep listening thus he was generous with everyone he met. He was given a superior intellect by his Lord and he used it gracefully, something that is uncommonly rare. Jeff did not argue for the sake of arguing yet he could handle every argument I ever considered in his presence. He was a natural teacher and trained educator but he was, by grace and spiritual formation, a man of love who sought the good of others above his own good. From the first moment of our relationship he respected my views and received me as his peer even though he was vastly more skilled and able as an ecumenist than I will ever be in two lifetimes! As per Jeff’s wishes a portion of William Faulkner’s acceptance speech given at the awarding of the Nobel Prize in 1950 was read at his vigil as a memory/appreciation. Faulkner is referring to the “writer” in this speech. In Jeff’s life the writer was the Christian “ecumenist.” This will give you some idea of how he thought about his calling. As Faulkner suggests in this speech the best writers must learn to appreciate the perspective of others. Jeff clearly aimed to do this in everything he did. He modeled this and the tributes given by his vast array of friends at his funeral attested to this over and over again. Over the last months of his life Jeff wrote a kind of personal memoir about his life and final sufferings. I hope to somehow get this material. Excerpts were read at his service but one that struck me deeply referenced how he faced his own suffering and death. He wrote about how he felt about facing trials and suffering, “I have been richly blessed for which I remain grateful.” His words reflected an attitude of deep trust and daily hope. He knew Jesus had been consistently faithful to him over the course of his life and he knew nothing would change this in his final days. He never once questioned God’s wisdom and providence and in fact repeatedly encouraged the rest of us to not doubt but to love more. Hi! John! I moved to Indianapolis. Please visit me when you come to this city. Welcome! David Kim liked this on Facebook.